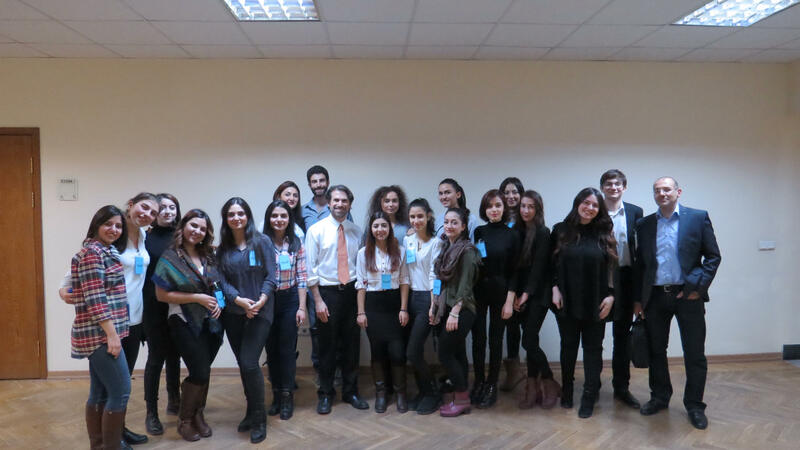 YEREVAN, Armenia – On December 2, a group of AUA English & Communications students organized a student-alumni networking event. 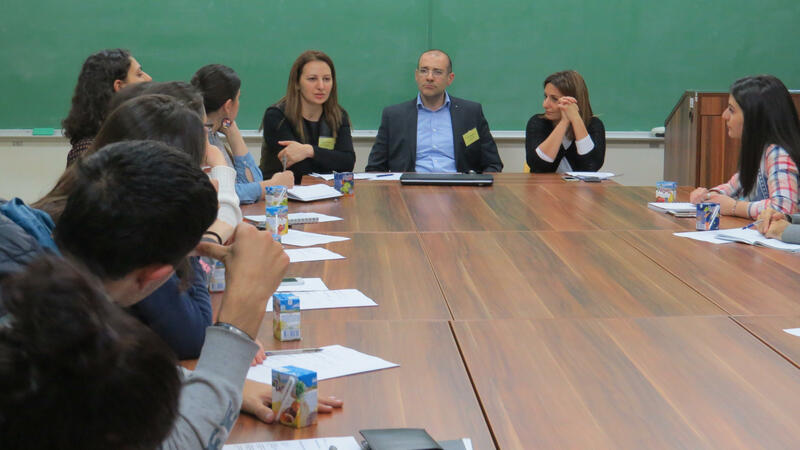 The event was planned within the scope of the Professional Communication course, taught by Chris Ray, and held in cooperation with the Office of Alumni Relations and Career Development (ACDO) . 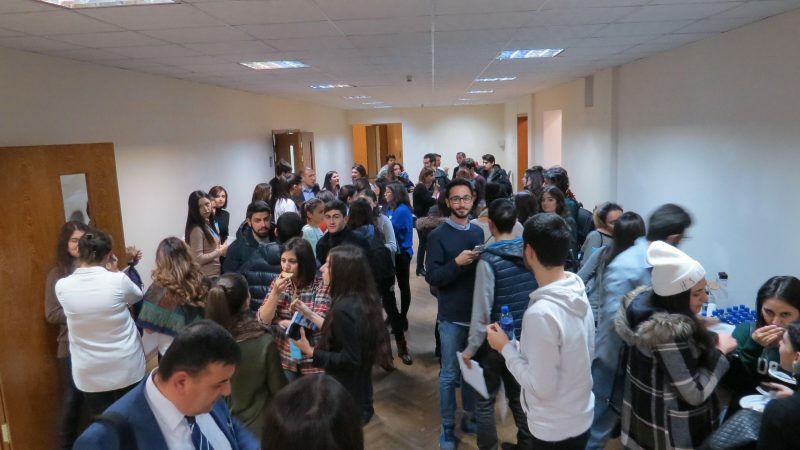 The goal of the event was to create an opportunity for future professionals to connect with experts currently working in competitive fields, which are relevant to AUA undergraduate programs. The event also served as an informal platform for alumni and students, where they discussed the nuances of the current market and shared their goals and concerns. 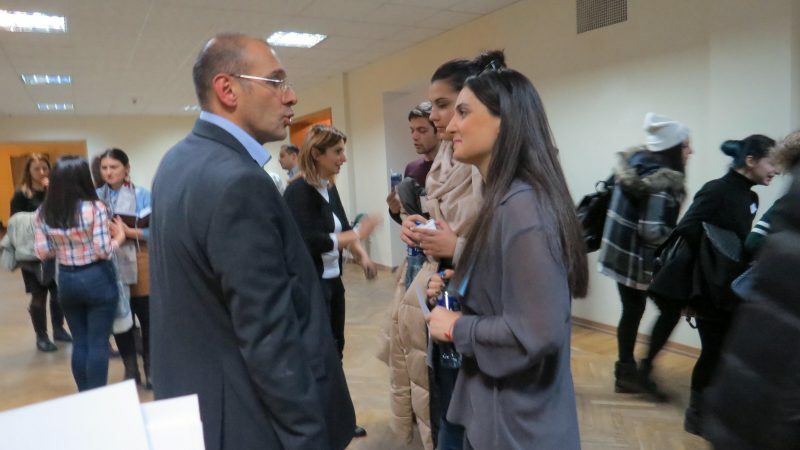 (HSBC Bank), Gnel Khachatrian, Audit Partner (SOS Audit), and Hayk Manasyan, Founding Managing Director (IBS Consulting Group). The session about computational sciences was led by Arpi Grigoryan, Managing Director and Technical Team Lead (NMX Global Software) and Mikayel Vardanyan CTO (PicsArt). Throughout the course of the event, participants interacted with professionals and acquired practical knowledge from the specialists’ experience. The organizers believe the event was a fruitful beginning and established a solid ground for future networking sessions.